It rained cats and dogs just as we were about to look for Warsaw's Ghetto Wall. Thankfully the thunderstorm ended soon just as it rolled in quickly. We made a dash out from a Metro station that became our temporary shelter and into one of the trams that would bring us closer to our destination. Since Warsaw has super-wide avenues that require serious leg work (and there's an efficient public transport system anyway), we armed ourselves with unlimited passes (1-day, 3-day or 7-day passes are available). In a city with increasingly more buildings being built, things can get confusing somewhat. That's the case with finding the Ghetto Wall. We got out from the bus next to the Central Station and unfolded our city map. It doesn't help that most streets in Warsaw also have these long unpronounceable names, all ending with vowels. Locals, especially the younger ones who speak English, are just happy to help errant legs. So we were told to walk along Jerozolimskie, turn right into Towarowa and our destination, the Ghetto Wall, should be right there in Sienna. We got into Sienna after hopping into a tram. All around us were unremarkable Communist-era buildings. But where's the wall? We craned our necks here and there. On a sidewalk, we found one sign that confirms we were in the right place. However, the gate is closed and no one was around at the time to answer our query. We turned into another corner where a fenced-in courtyard offered us a view of this red-bricked wall. We couldn't ascertain if what we're seeing is what we actually think it is. Someone walks by and we asked. Yes indeed, that's the Ghetto Wall - or what remains of it - in the courtyard of some apartment buildings. What we're looking at is a section of the original Ghetto Wall which you would never want to visit if this was Warsaw in 1940. In October of that year , the occupying Nazis herded all the Jews within the confines of this originally 11-mile brick wall that was topped with barbed wires. In the next few weeks, about 400,000 Jews were corralled. They were not allowed to leave, virtually prisoners of the ghetto. Living conditions within the next year and a half was appalling - with little food, rampant disease and scarce source of livelihood. So many died and even more so as mass deportations began in 1941, sending them to their eventual deaths in Treblinka - the dreaded extermination camp. The suffering and death within the walls of the Warsaw ghetto is truly incomprehensible just as those that happened elsewhere during World War II. It left me drained and depressed while making me more aware of my own freedom. But then I look at 2010 and realize in a way the painful truth that divisions still exist among men - that walls do still divide us. I'm sure you had some heavy heart as you came to see this. I know I would even though I know very little of its history, just trying to comprehend the evil done can make one's head explode. On the lighter side, I hoped that the rains were a welcome relief despite the overt inconvenience it brought. If only the walls can talk, or probably we don't want to hear it anymore. I couldn't agree more with what's mentioned in the closing paragraph. This make me sad, ewan. Pero in fairness sa Poland, booming talaga economy nila ha. Inungusan na ang Pinas. Hay. But then I look at 2010 and realize in a way the painful truth that divisions still exist among men - that walls do still divide us. - AMEN. I second this. A very sad point in history... it was pure evil at work ! 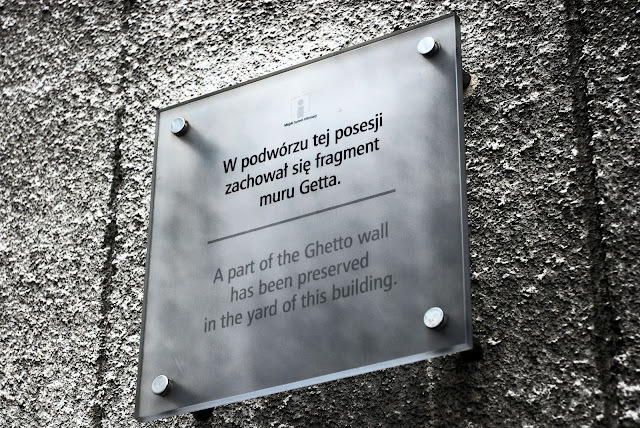 I've read about the Ghetto Wall, and I understand your sentiment upon visiting the actual site. Wow, ang ganda ng trains nila! Grabe dito sa atin chaka lang. LRT2 lang yata yung magandang nasakyan ko. Luwag kasi. Hmm, the Ghetto Wall doesn't seem to be totally out of place in that photo up there! Imagine Jews climbing these walls, looking for a way out. Sometimes people or jews from the outside toss food to the other side of the wall, to where the Jews are locked up. Some Jews are allowed to work outside of the walls. These Jews are selected. They come out really early in the morning then come back in the evening, all drained with no proper nutrition. But they can take/steal foods to their families inside. You should have read/watched about extermination camps. There are a lot of them. Look up Auschwitz and Bergen-Belsen concentration camps on the internet. Just knowing their stories would make you cry in an instant. I could go and on but I wouldn't wanna waste your time. Haha! I have researched a lot about the Holocaust. Movies, books, internet, etc. Just typing this comment makes me a little teary-eyed. Haha. pag mga Ghetto na pinag-uusapan I feel sad. after watching schindler's list a few years ago I developed this sympathetic feeling topwards the Jews. The mere mention of the more makes me imagine the atrocities of the past committed against the Jews. A Polish holiday is very emotive at times. 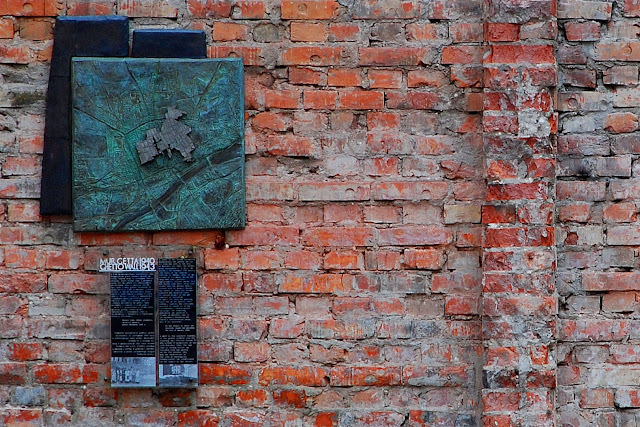 I was in Krakow two years ago and the Auschwitz excursion is part of the thing to do. It changes the perspective of all things touristic.... I only left the classic railway track view from outside the camp in my photo album afterwards. nice ending paragraph. never heard of ghetto before, ang naive ko tlga sa history..
inferness, this place doesn't look gloomy or a ghost town at all. btw, thanks for the info about nayong pilipino. ngyaon ko lang din yun nalaman.. I wonder how the people in those apartments feel that they live very near that historic (walls that witnessed the darkest/most evil part of history) place. Thanks for sharing this informative story. what's nice about your travel blog is your effortless talent of narrating your trips as vivid as like we're with you on the journey. i think i'll have the same feelings given a chance to experience ghetto wall; such a dramatic piece of history. 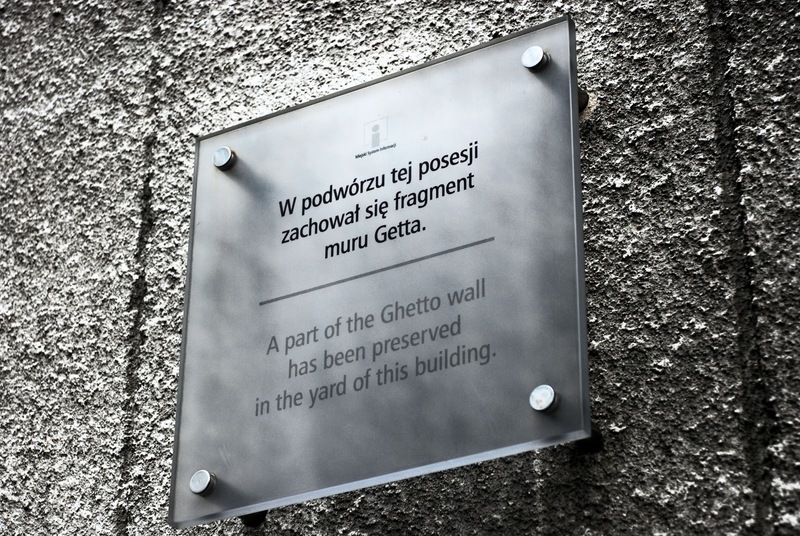 so great that they retained a part of the original ghetto. it will remain historical. Ah, this reminds me of Schindler's List and The Pianist. Although I am not sure whether those cities were Warsaw or Krakow or somewhere else. Very nice photos as usual!